Imagine you had the opportunity to spend every day doing what you love and earning several Million Dollars per year doing it. Would you take that job? If you can’t get your knee pain under control, the fun is over. That was Boki Nachbar’s situation. 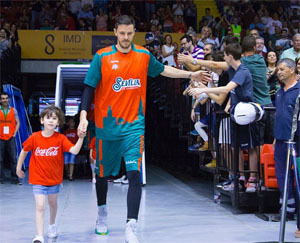 Among other teams, Boki played professional basketball for the Houston Rockets alongside Yao Ming and for the New Jersey Nets, with Vince Carter and Jason Kidd. Boki reached out to me for help with his tendonitis last year in August, because the knee pain was ruining his love for basketball. He wanted to keep playing without using painkillers. Here are his results after Boki and I worked together on a detailed plan for him to follow during his off-season. If you found the conversation useful, please leave a short review on iTunes.